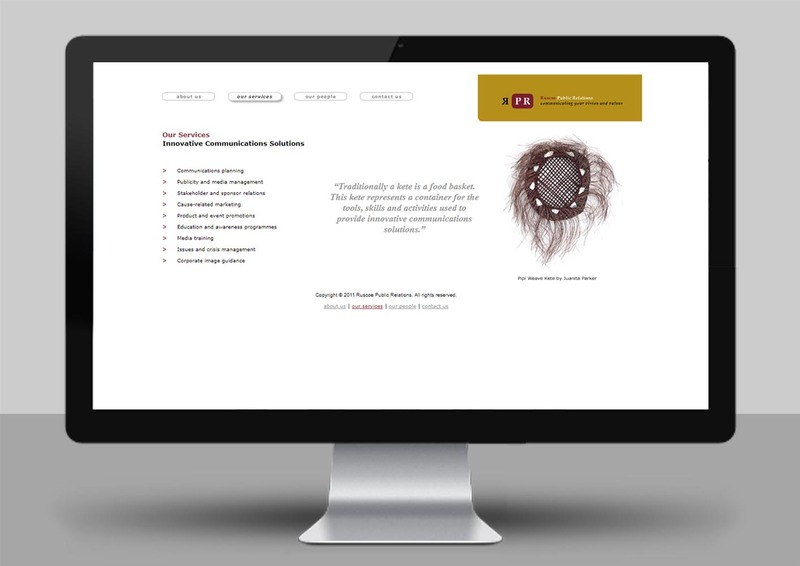 The project for RPR involved Graphic Design and Web Design. RPR :: Ruscoe Public Relations is a Wellington communications consultancy company owned by Joanne Ruscoe. 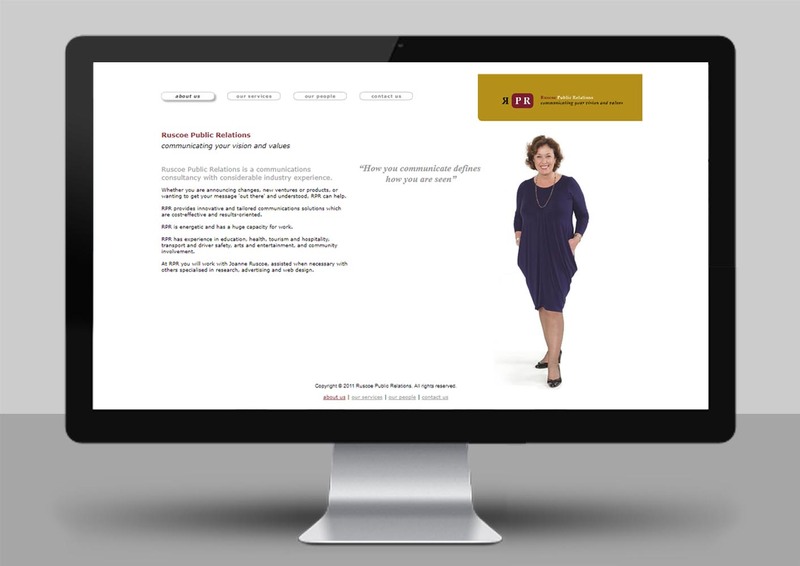 Shine designed RPR’s company profile website to link in with the current brand which was modern and simplistic. 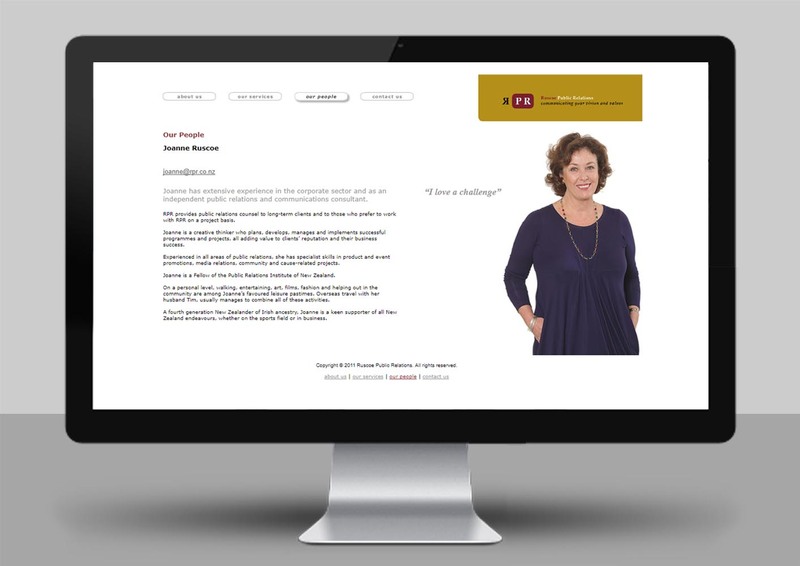 Format: Five-page company profile website. 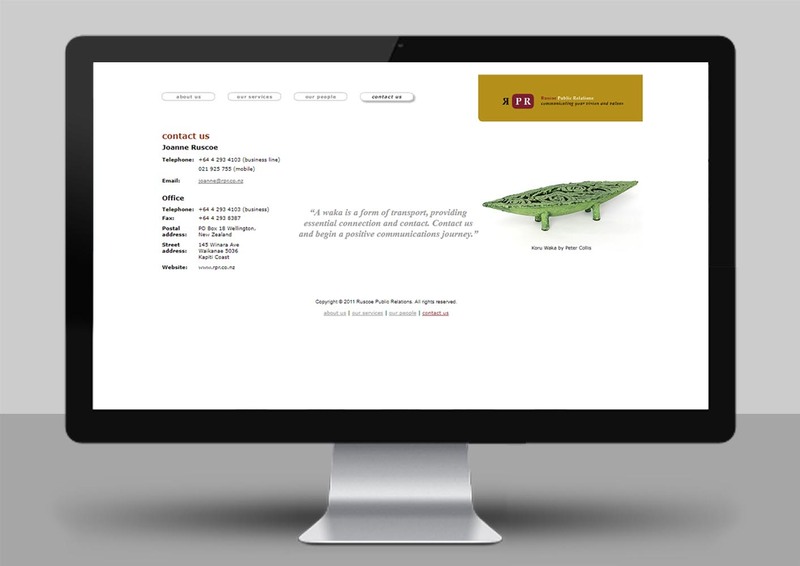 Brief: To design and build a company profile website that reflects the same look and style of the existing brand. The client wanted the layout to be simple and clean cut. Solution: The ‘look and feel’ was created by an overall simplistic modern layout and navigation. Simplistic rollover menu navigation buttons were designed. The corporate colours and fonts and professional clear-cut images were used.